The nature of the traditional domestic football season in this part of world – spread over two calendar years from August to May – can lead to all sorts of anomalies. Clubs’ Player of the Year awards are actually for Player of the Season, aren’t they? But there are some accolades which do stick to calendar years, the Ballon d’Or for example, which is announced each December. Bradford City fan Richard Wardell makes a virtue of this in his new book, which is being brought out as a special City Gent publication this September. 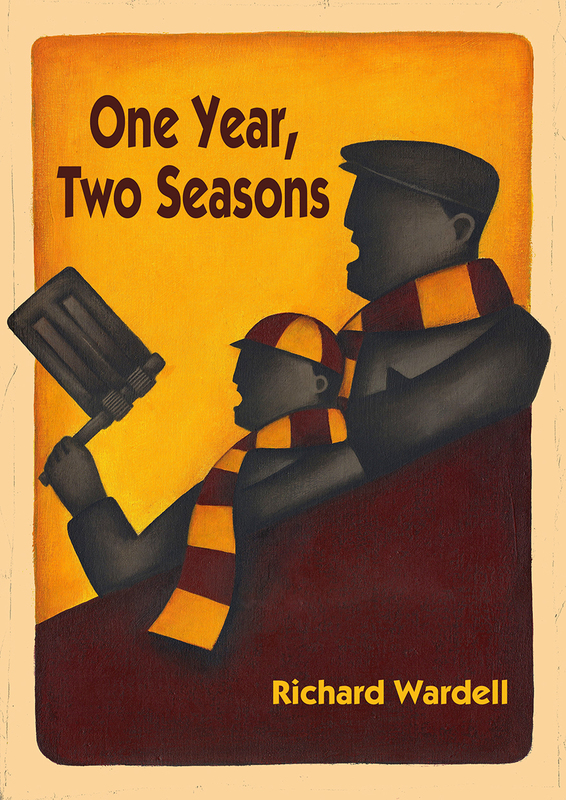 One Year Two Seasons is a personal diary charting the ups and downs of supporting the Bantams over a period of just over 12 months from April 2017 to May 2018. It begins with a tingle of anticipation as he travels to Rochdale, with the Bantams guaranteed a place in the 2016-17 play-offs, and ends with him watching a double-header of games at the UEFA Under-17 Championship. Richard’s main aim is to raise money for two charities: the Plastic Surgery and Burns Research Unit and the Huntington’s Disease Association. All City fans will be aware of the sterling work of the PSBRU, set up by Professor David Sharpe after the 1985 fire. However, you might not be as familiar with Huntington’s disease, a disorder which affects the nervous system and for which there is currently no cure. Richard has paid for the printing of this City Gent special issue and The City Gent have paid the other production costs, which means every penny from sales will be split evening between Richard’s chosen charities. One Year Two Seasons is published in memory of Angela Wardell and is available from all City Gent sellers, priced just £3. It’s a great read and all in aid of two very worthy causes so watch out for it and make sure you buy a copy!